The Dover F.C. 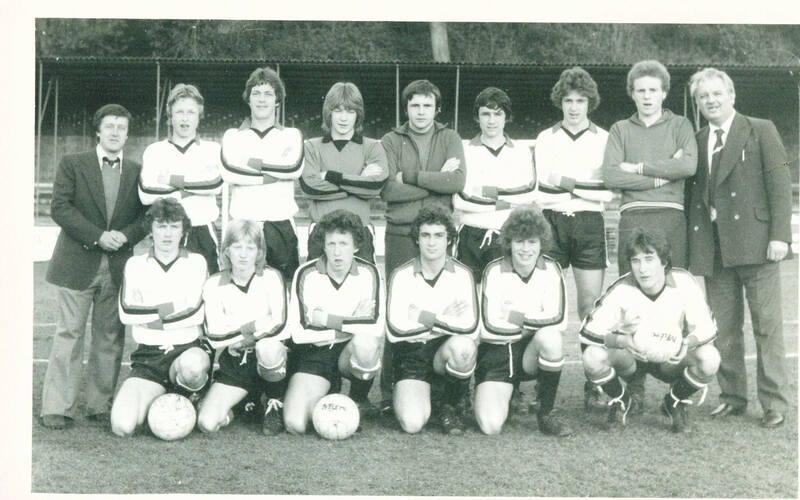 Youth Team pictured before the Kent Youth Cup final against Maidstone United on 11th.May 1979. The Stones won 2-1. Back row: John Lawrence(manager), Russell Stevenson, Dave Linstrem, Neil McCluskey, Richard Buddle, Ian Carolan, Adrain Fagg, Nicky Hibbert, Gethin Price(Director). Front row: Gary Miller, Andy Young, Richard Dowle, (Unknown), Gary Pain, Howard Denton.